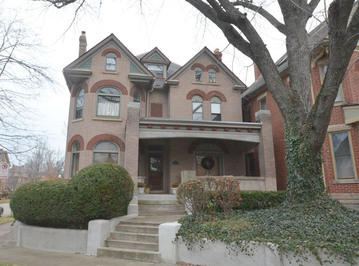 Meticulously Renovated Three Story Brick! Meticulously Renovated Home of the Highest Quality on One of the Only Two Elegant, Cul-de-sac Streets of "The Circles!" Walk or bike to the Short North, Arena District and OSU. Over 3,200 SF w/the finest of detailing & updates. Gorgeous NEW Oak flooring, large rooms with high ceilings and huge windows for lots of natural light. Open stairway. Butler's Pantry w/Wetbar & Subzero wine cooler, great for entertaining. Incredible NEW Kitchen with open concept Breakfast area, Island & top quality appls. Large back yard with multiple seating areas, perfect for entertaining & a RARE attached Garage. Two fabulous Bedroom Suites on 2nd Floor, plus 3rd Bdrm w/office area & 3rd Full bath on fabulously finished 3rd Floor. Updated mech's. A spectacular home sitting right on one of the Park Circles! Oversized Dining Rm, another area that lends itself to entertaining!